← To Bead or Not To Bead. A little lesson on how many beads does one need? For me this is a simple necklace with a little flare. Great for work, casual or dress. All women look pretty in pink. I thought the lavendar would make the pink stand out. 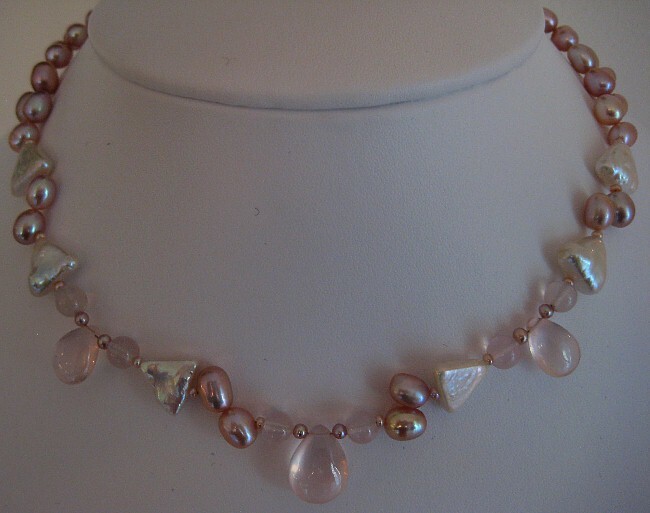 I used Rose Quartz Pear Shaped drops and Rounds. 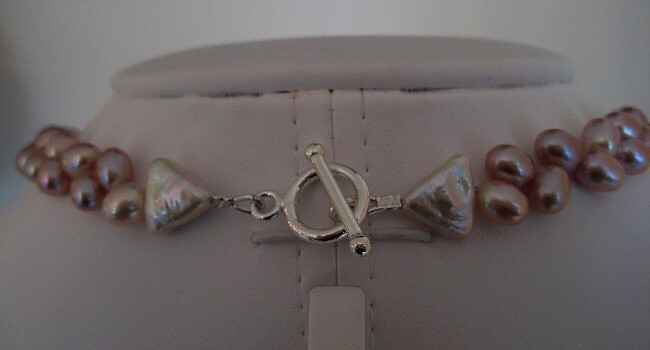 Pink Triangular Pearls. Lavendar Egg Shape Pearls and tiny lavendar Rounds.